Working from home has never been easier thanks to the internet. As long you have a good wifi connection you can pretty much work from virtually anywhere. But the question is, how can one legitimately make money working from home doing what they like? SIMPLE. There’re plenty of ways in which you could earn a living online, and I list four of them here in this article. Are simply in need of some disposable income for those fun family holidays and activities. Having an online business is also a great way for women who want to be stay-at-home-moms but still wish to contribute to their family’s finances. Whatever the reason, I’ll share with you four fantastic ways that you can earn money online. I wrote this blog post for those who are thinking of ways to make money online but don’t necessarily know how to do so yet. I’ve selected four lucrative online businesses that could help you get started on your work-from-home journey. You don’t have to have some special kind of unicorn degree to start an online business. As long as you are committed to learning and developing, there’s nothing to stop you from being a successful entrepreneur. If you have a positive attitude and enjoy motivating others to achieve their goals, then this is for you! You don’t need a degree to become an online life coach. All that you need to have is a good foundation of knowledge in the area of life coaching or at least be willing to learn. As a health coach, your job will require you to help people live healthier happier lives, help them discover their hidden skills, and encourage them to keep going when they need emotional support. Being a good listener is vital. Life coaching can, for example, take place via Skype (which I think most people prefer) and could last anything from 30 minutes to an hour per session. You set and plan your working hours which is one of the main advantages of having a work-at-home job. There are a lot of helpful books that you can read to help you get started with your online life coaching business. A couple of my favourites include and . Blogging is a great way to make money online especially if you love writing. Yes, writing because you are going to be doing lots of writing if you decide to take this path. You can write about anything, just make sure you have a passion for it. Making money from blogging does take a lot of commitment and perseverance. Why? Because it might take you months of late nights before you can see some income coming in. But once you get the ball rolling, you will never look back. I’ll say this though, if you’re looking for an easy and fast way to earning money online then blogging isn’t for you. Money comes in very slowly in the early stages. However, once you reach a certain number of readers per month, you can make a good living from blogging. I know an influential blogger who makes more than $40, 000 per month from blogging through affiliate marketing and displaying ads on her website. Freelancing means offering expert services such as copywriting, blog post writing, social media marketing, software development projects, etc. to multiple companies or individuals for a fee. Being a freelancer means you are self-employed and therefore have the freedom to pick your projects. It’s a great work from home job for stay-at-home-moms. There are some excellent freelance sites that you can join to get started. I recommend that you go over to Freelancers.com and open an account. Their signup process is easy and straightforward, and you should be able to find jobs in no time. They currently have over 12 million jobs posted on their site right now waiting for bids. Virtual assistants are in demand, and the field is becoming more and more lucrative by the day. A virtual assistant or virtual office assistant (aka VA) is a person who provides administrative work such as transcribing voice memos, planning trips, ordering office supplies, etc. to a customer or multiple clients. As a VA, you’ll be self-employed and will be able to work with clients remotely from your home. It’s a great way to make money and can quickly become a full-time business. Being a VA is a great way to earn some extra money online. 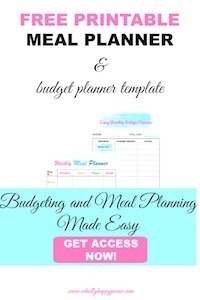 If you have great organizational skills and excel at planning stuff, then this work from home job is definitely for you. VA’s typically earn over $15 per hour. And one thing that’s great about starting an online business as a VA is that you’re able to make an income a lot quicker than you would with say, blogging although blogging does have its own perks. Do you have any tips or ideas on how to legitimately make money online? Then please do not hesitate to leave a comment in the comments section below. Share your experiences with us, we would love to hear your story.